In sport, people like to look back on their team’s ‘golden era’. Take the Currie Cup where Western Province reigned between 1982 and 1986, Super Rugby’s current two-time defending champion Crusaders, the Bulls’ three-trophy run between 2007 and 2010, the Springboks between 2007 and 2009, and the All Blacks’ world supremacy since 2011. At university level, the Maties dominated the scene between 2008 and 2010. 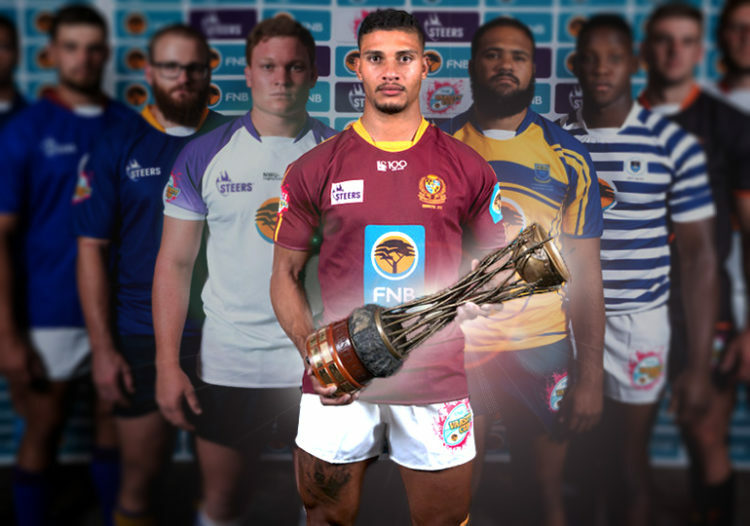 Since clinching their third Varsity Cup title in 2010, Maties fell at the final hurdle in 2012, 2013, 2016 and 2017, but finally broke a seven-year drought when they thumped Pukke 40-7 last year to bring the trophy back to Stellenbosch. It was a remarkable feat and quite an emotional occasion as the crowd flooded the pitch at the final whistle to celebrate with the team. It really meant a lot to the players and the fans, and that moment may well have been the birth of another golden era for the Maroon Machine. The scary thing is that Maties have only lost five Varsity Cup matches at the Danie Craven Stadium since 2008. They are currently on an eight-match winning streak, with a 33-33 draw against Pukke interrupting what would otherwise be a run of 16 consecutive wins. Apart from their rich history, the setback of losing previous finals contributed to their success in 2018. They came close in 2016 and 2017, denied the trophy by small lapses. This side has flourished under the coaching of Hawies Fourie and they keep going from strength to strength. In their Round 6 match against UJ, the men from Johannesburg pushed them to the edge, but Maties managed to win quite comfortably in the end. That is the sign of a champion team – they find a way to get the job done even when they don’t play to their standards or are being matched by determined opponents. The Maties young guns side are also doing well, having won their first title in 2018 and players like Anton du Toit (youngest brother of Springbok utility forward Pieter-Steph du Toit) has been promoted from these ranks to become a regular starter at fullback for the Varsity Cup side. And Maties won the Western Province Super League A title in 2018, beating Durbell 51-27 in the final, confirming that the depth of their talent pool is second to none. They have a conveyor belt of quality players just coming through all the time and other universities wish they had resources like Stellenbosch. It’s hard to imagine that Maties won’t go on to dominate the Varsity Cup for years to come because they have their house in order – quality players, good coaching, a solid team culture and a crowd that comes out in numbers whether they play home or away! A second consecutive title would confirm that Maties are in the thick of another golden era. I think the reality is that Maties are always there or there abouts – there are few years where they are not in close contention. They have a great rugby culture and that runs true consistently, even in the years where there is no silverware! The bigger debate is rather, why this rich resource is not always finding its way into the WP and Stormers fold? WP management has to be so tired of addressing the question but here goes again! both Rassie and Smal, as WP directors, have said: the union can only afford to give contracts to so many players and there is a limit to how many players you are allowed to contract. So yes some players they would love to bring on-board lose out. They try to hand pick the best and sometimes they get it wrong. Yes John, but it is a question of what they do with said talent that begs an answer! The reality is that the rich rugby resource in the region seldom reflects in the senior side. It is a Union where more rugby is played than any other and as such, they should be light years ahead of the rest, but they’re not. As an ardent WP man, this must surely also concern you? I am trying to address your question “why this rich resource is not always finding its way into the WP and Stormers fold?” versus how the talent is coached nor the crisis management has created. Fair enough, I think the subtlety is in the word “resource” – it is not only meant in terms of player quality but equally in terms of values and culture. The point I make is that the culture in Stellies is consistently strong, year on year, win or lose! WP are not alone in this at all, As I’ve mentioned below, the Sharks erratic hit or miss approach, says there is much wrong with their culture and respect for the Jersey! These are leadership issues really! At the risk of being called all kinds of names just compare the management personalities in the WP with the other unions and you will see the problem,–its the same problem Eskom has. Yes, I think the Management have much to answer for, not only in terms of selection and administration, but probably more so in terms of ethos and culture! Dobson could be the catalyst in changing that, he seems to command respect and runs a happy camp! The Bulls are probably showing the most marked improvement on getting back a strong culture and respect for the Jersey. It is something that has been missing in our Pro franchises, no less the Sharks who seem at home with mediocrity and inconsistency! Sad to hear Mike. I am not close enough to give that sort of perspective, but it is important that cards are put out on the table, so that all can understand the problems, that exists. Province have the potential to be The Crusaders of South Africa, if the regional talent could be correctly channeled. Regardless of who you support, this needs to be fixed! If you want to know where the WP contracts go, look to Dodson, Fleck and the Green Mile. Dobson will not fix it. Maties may just as well have been part of Boland for the consideration they receive from WP. LOL, I wouldn’t be surprised if all the SAFFA teams lose this weekend. Imagine the 200 line essay from the usual suspect should that eventuate, I can almost write it word for word.